Please view Curator and Professor Gordon Marino’s webpage for his curriculum vitae and an overview of his published works, including links to his newest book (see The Existentialist’s Survival Guide: How to Live Authentically in an Inauthentic Age) and dozens of the articles that he wrote for internationally prominent news sources such as the New York Times, Atlantic Monthly, and Huffington Post. 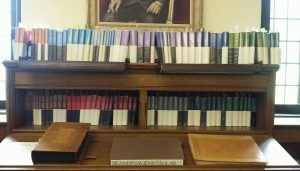 The Hong Kierkegaard Library maintains a list of works published by the Kierkegaard House Fellows. 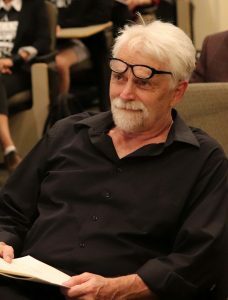 Each year since the KHF’s inception in 1998, the Hong Kierkegaard Library has invited a hand-picked group of scholars to join the Fellow’s program and live on the St. Olaf College campus for a full year, starting in early September and lasting through the end of August the following year. The KHF Fellows utilize the resources offered by the Hong Kierkegaard Library to advance their research projects. Click here to view the master list of works published by Kierkegaard House Fellows. The translation and publication of Kierkegaard’s Writings by Howard and Edna Hong was centered in the Library for a number of years. This effort was completed in May of 2000 with the publication of Cumulative Index to Kierkegaard’s Writings, volume XXVI. Copies of Kierkegaard’s Writings can be found in the St. Olaf College Bookstore located in Buntrock Commons.